Everything that others see, really, is what my parents have taught me. Character can be all about the counter-intuitive act. At the Super Bowl, audiences see a small tradition unfold at the end, when a star from the winning team appears on camera and he is asked what he plans to do now that he’s won the championship. As we all know he smiles and says “We’re going to Disneyland!” It’s a celebratory moment and why not take a trip? "That's how I see it." Jarque was a fellow professional, and a friend, even though he played for Barcelona’s cross-town rivals Espanyol. He died of a heart attack the year before, at the age of 26. What I want to know is, what kind of person is it, who at the highest pinnacle of personal achievement, with hundreds of millions watching you celebrate, in a “Going to Disneyland” moment at a world-wide level, what kind of person chooses that moment to shift the focus to a fallen friend? 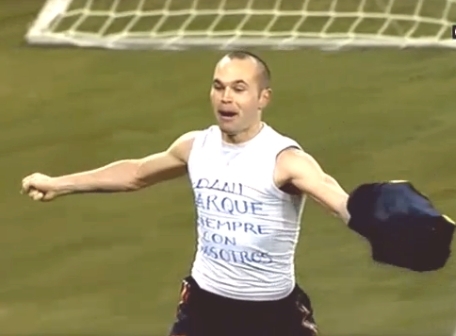 For Andres to do this with the whole world watching is a gesture of great humbleness. He stands on the podium of success and remembers that it is insignificant compared by living a good life. "Dani Jarque will, through me, be remembered as well." “It makes me very happy to know that not only I will be remembered, but that Dani Jarque will, through me, be remembered as well. Here’s hoping that today you have a chance to reflect and remember what your parents have taught you. And to acknowledge that what others see in you is largely what you have learned from them. And finally, that we all take some time to think about what we are teaching the little ones in our lives about happiness, character and achievement. 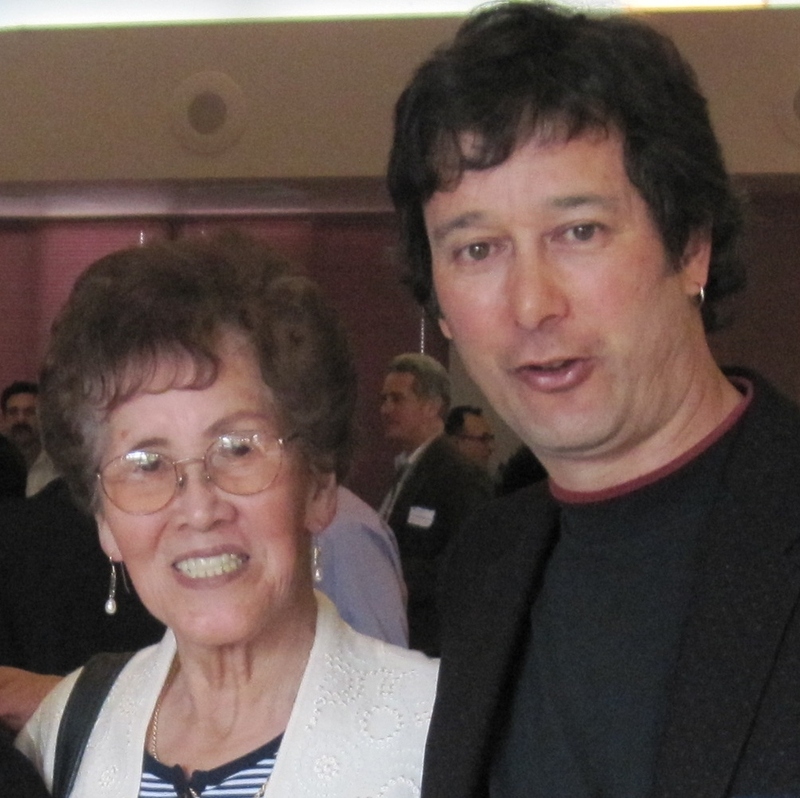 The author and his mother, Emiko. This entry was posted in Football and tagged Musings, Parenting, World Cup, world cup football. Bookmark the permalink.